As communication, technology, and work become more mobile, it’s easier than ever to pick up and move. If you’re looking for a new place to call home, consider Charlotte, NC! Whether you’re a fresh-faced college grad or a longtime working professional, living in Charlotte has something for everyone. So stop wondering, Why live in Charlotte? and check out five things you can expect from this vibrant Southeastern city! Among the 20 largest cities in the country, Charlotte still maintains a friendly, small-town vibe. Based on an analysis by U.S. News and World Report, Charlotte ranks 14th out of the top 100 cities in the United States for quality of life. These rankings are based on a host of factors, including job prospects, cost of living, and overall desirability. Though it’s home to major financial institutions like Bank of America and Wells Fargo, living in Charlotte offers more than just banking and finance jobs. Lowe’s, Duke Energy, and Family Dollar are just a few of the nine Fortune 500 companies with headquarters in the city. 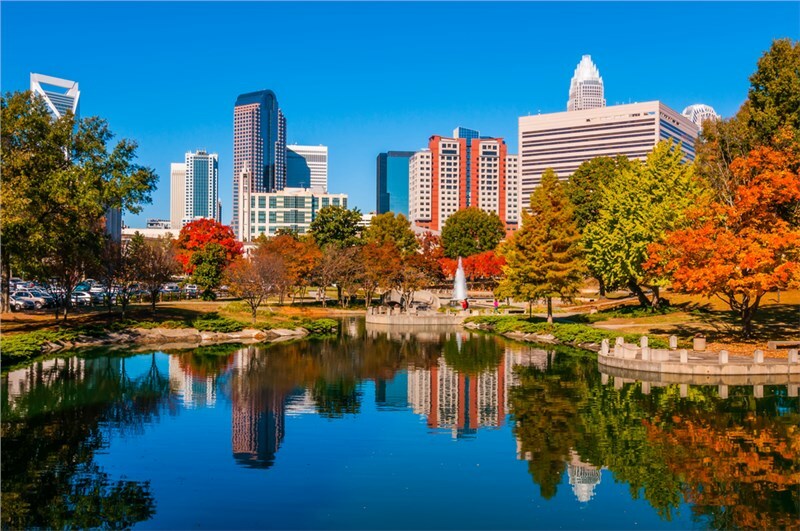 Charlotte is in many ways the quintessential Southern climate: mild winters, pleasant falls and springs, and warm summers. Although the summer months can be quite humid, the average temperatures from June to August still don’t reach above 77° F, allowing you to enjoy outdoor living and recreation all year long. 4. Bustling culture Although many people consider Atlanta to be the cultural capital of the Southeast, Charlotte has a booming culture and arts scene in its own right. From art galleries and craft beer in NoDa to the farmer’s market and food trucks of the South End, there are tons of things to do in Charlotte—something for everyone in the family. Foodies will especially enjoy the city’s famous North Carolina barbecue joints. Located almost exactly halfway between the Atlantic Ocean and the Blue Ridge Mountains, Charlotte is an outdoor enthusiast’s paradise. You can even go rafting, kayaking, canoeing, and rock climbing without leaving the city! Just stop by the U.S. National Whitewater Center. These are five great reasons for moving to Charlotte—but the city is growing rapidly, and every day there are more things to do and see in this awesome metropolis. Moving to Charlotte? Call Charlotte Van and Storage!